The Sixth Amendment states, “In all criminal prosecutions, the accused shall enjoy the right to…have the Assistance of Counsel for his defense.” In other words, it is not just a good idea to seek out a DUI attorney; it is one of your Constitutional rights. James Novak can help you understand your DUI rights, and uphold them in court. Contact our Phoenix office immediately if you have been charged with driving while under the influence. James E. Novak is a highly experienced DUI attorney who can defend you. Drunk driving is a hot topic in our society, and because of this, emotions can run high – even in an unbiased courtroom. James E. Novak can help maintain objectivity in your case to ensure that you truly are considered innocent until proven guilty. In addition, Arizona has some of the strictest drunk driving laws in the country, and to convict you of drunk driving, the court only has to prove you were “impaired to the slightest degree.” This means that you do not even have to have an elevated BAC level to be convicted; all that is necessary for a conviction is the word of a police officer and the agreement of the judge or jury. In other words, you could be sentenced based only on your appearance, your natural mannerisms, or the fact that you were drinking earlier in the day. Therefore, as an Arizona resident, it is especially important that you secure the best possible counsel. What Does a DUI Attorney Do? When you first discuss your DUI charge with James Novak, he will conduct an extensive investigation and interview to determine whether you have a viable case. Once he understands the specifics of your charge, he can construct a tight argument in your favor. Typically, Novak tries to get your case dismissed, or create a plea bargain, which can reduce your charge from a DUI to a lesser charge such as reckless driving. This is usually an option when the prosecutor feels that there is not enough information to prove drunk driving, but is unwilling to dismiss the case. Novak will relentlessly argue your case in court and demand that the prosecuting attorney present detailed proof of your intoxication. Without this proof, there is a good chance that your charges will be lowered. Perhaps you have been accused of your second offense, or the evidence is stacked high against you. 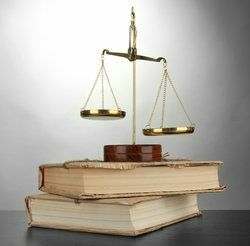 In these cases, a plea bargain or dismissal may not be possible, but sentence bargaining might be an option. During sentence bargaining, you agree to plead guilty, and by explaining all relevant information or mitigating circumstances, Novak may be able to help you receive a lighter sentence. When you are facing DUI charges, you have a right to an attorney, and you should secure the representation of the best attorney possible. Contact James Novak, a defense attorney who can protect your best interests.